think are the most influential stories…. we knew, and everything that was to come. 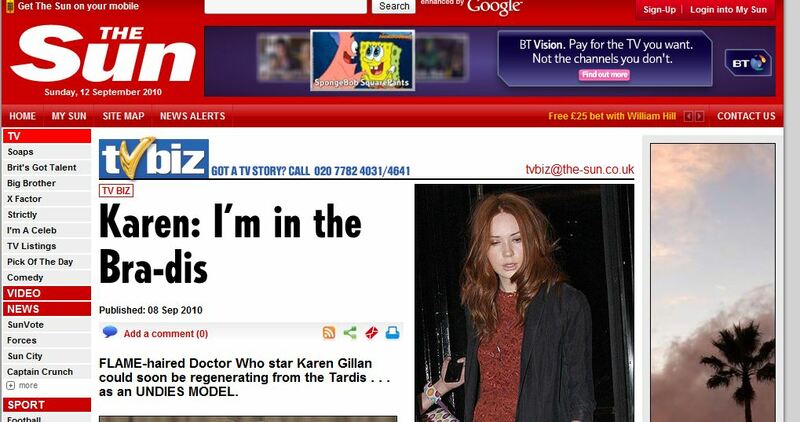 RTD’s ambitions were, it set the bar, it said “right, here is what Doctor Who is now, beat that”. and our beloved ‘base-under-siege’ story type, seen as recently as “The Waters of Mars”! a loose over-arching storyline in the form of Bad Wolf influenced the whole rest of the RTD era. RTD, just check out the ‘saying goodbye to the companions scene’ towards the end of episode 10, remind you of anything? So there you have it, tell me what you think! Steven Moffat has announced that the normal series structure of 13 episodes a season will be split into two chunks, Series 6 in Spring, Series 7 in the Autumn, now the news that had been long rumoured is out in the public domain the UK press is desperately trying to get the scoop on what the promised “huge plot twist” will be. 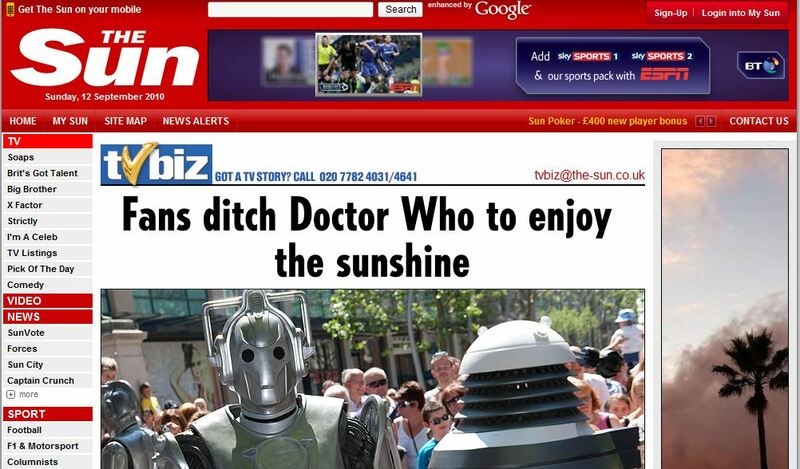 I once heard on the fan grapevine that some Outpost Gallifrey forum dwellers posted outrageous rumours to see if they ended up in The Sun, and lo and behold they did…. 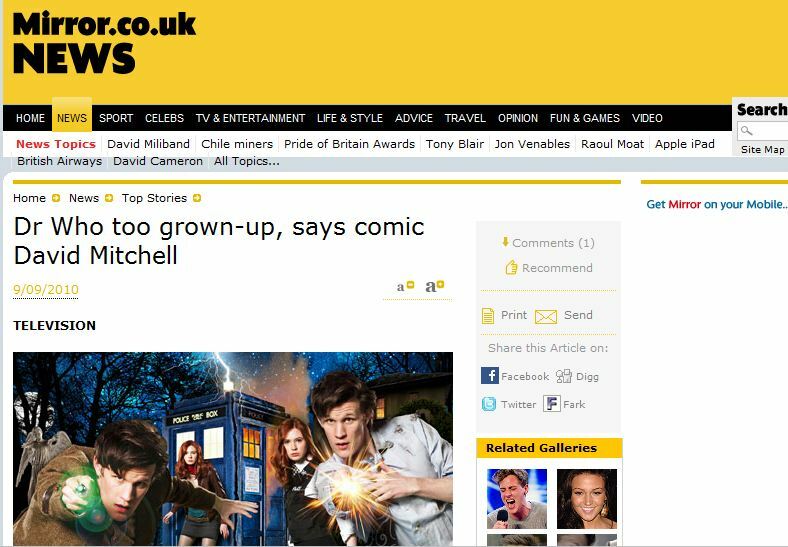 What I really like about that Star article is that it makes two errors in the headline alone – River Song has NEVER been explicitly referred to as The Doctor’s wife, except when Amy asked The Doctor outright in “The Time of Angels” he did not answer the question. 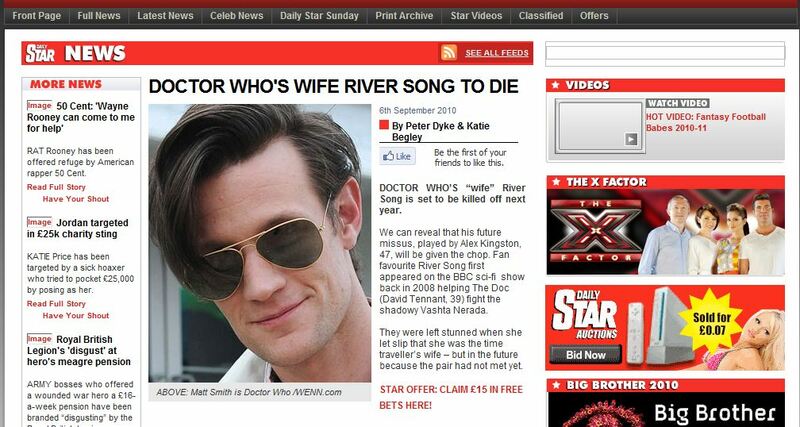 Also we’ve already seen River die! 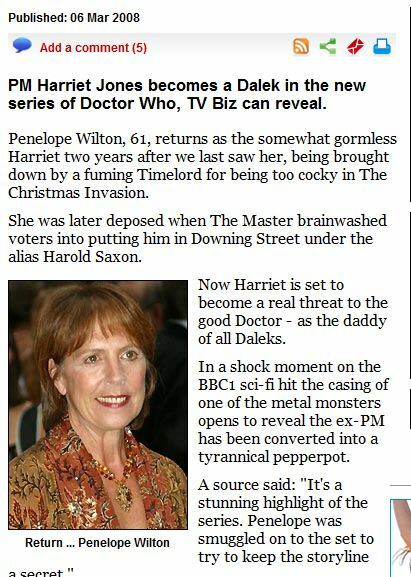 But I don’t expect a “journalist” from The Star to understand wibbley-wobbley, timey-wimey stuff!